Thankfully, as we all now know, any such concerns were entirely unfounded. The developers turned out to be devoted fans of the classic games of yesteryear, and their commitment to preserving its heritage while building on its lore and giving it a new spin with an updated look is plainly evident throughout. It’s rare to think of anything but the smallest, most personal indie adventures as “labours of love”, but that’s the sense this reimagined series conveyed. It was even given the Williams’ seal of approval! 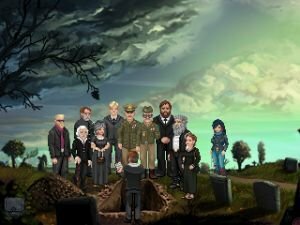 And now it’s been given ours, as we recognize King’s Quest as our Best Adventure of 2016. A cynic might argue that this is nothing but rose-coloured nostalgia. But no, it really isn’t. 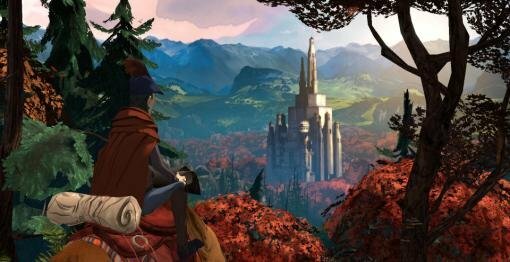 Certainly the new King’s Quest isn’t a perfect game. (Then again, none are.) Some episodes are more enjoyable than others, and yet we applaud the effort to give each of the five chapters its own distinct story, time period and gameplay focus. This is one of the few episodic series, if not the only one so far, to genuinely justify its episodic approach by making each chapter uniquely different. And when taken as a whole, it’s a thoroughly worthwhile return to the Kingdom of Daventry. Sure, the many callbacks to King’s Quests of yore let us bask in the warm glow of sweet reminiscence. But this is a thoroughly modern take on the royal family’s adventures, and manages to stand out entirely on its own merits. For so successfully entertaining us with its wonderful blend of old and new, our most distinguished Aggie Award for Best Adventure this year becomes the latest feather in this grand series’ cap. Kathy Rain reigns supreme! 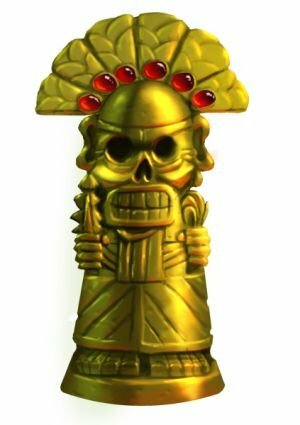 Given its crowded trophy shelf at this point, the ultimate reader winner for Adventure Game of the Year should come as no surprise. But it’s always a surprise – a very welcome one – when a developer’s very first release proves to be such a triumphant achievement. But Clifftop Games, and specifically Joel Staaf Hästö (who did all but the art and music himself), apparently didn’t get the memo that debut projects are supposed to be full of embarrassing rookie mistakes that can only be improved upon with experience. Excelling in everything from story to gameplay to top-notch production values, capped by a fabulous lead character we’d love to see more of in future, Kathy Rain isn’t just good for a first attempt, it’s a rare gem that deserves to stand proudly among the very best the genre has to offer. So ends the Aggie Awards presentation for 2016. And on that note, we once again wish to thank our community for another fun year, all the participants in our reader poll, and last but certainly not least, the many wonderful women and men who made all this possible by creating these games for us to enjoy. We don’t know about you, but we’re exhausted! But there’s no rest for the weary, as 2017 is shaping up to be every bit as busy. So you folks get playing, and we’ll get writing and reporting, and we’ll see you all again this time next year.